A quick comparison between Dublin Marathon preparation and Stockholm Marathon Preparation. The figures show very little differences in running numbers but I have done far more running and swimming while preparing for Stockholm Marathon. What the figures don’t show is that I’m trying to the ‘triathlon fit’ at the same time as preparing for a Marathon and that I have an Aquathlon 30 days after the marathon… the aquathlon is my A Race for the year. Lastly, the graphs don’t show that I was having constant knee pain in the final eight weeks of my training for Dublin Marathon. For Stockholm, I built up my distance very carefully and have bee pain free. So, we have the numbers, graphs and the facts behind both. What will the result show? Well, firstly, it means that I’m in for a world of pain in 12 days time – that is of no doubt. Secondly, it means that I have not prepared as much as I thought for this marathon. The remaining question is: Will the extra ‘other training’ assist me in any in the Marathon? The triathlon season is over. I did all of one triathlon but nonetheless have learned a lot. I had planned to do three triathlons and had very lofty aims for the one that was to be my A-Race. As it turned out, I didn’t make it to my A-Race and the B-Race went pretty well considering the year that was. 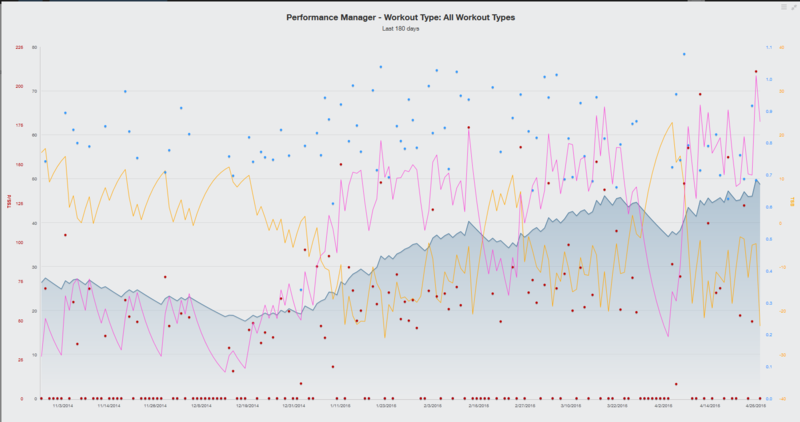 My training year started in October during which time I was able to manage 4.5 hours per week. My plan was to keep the 4.5 hours while building intensity into the time – eventually having more than 60% of the time at very high intensities. This part worked. Part 2 of the plan was then to add volume while holding the same intensity I had built up – thus working up to an eight hour week. I never did manage to find these eight hours and as a result, the 4,5 hour week became my yearly average. Occasionally I’d try to add some volume in one sport but this just took time from the other ones, leaving me playing catch-up once the ‘volume phase’ was complete in one sport. I’d have been better off not trying in the first place. For next year, I’m going to have to admit that this is all the time I have and plan around it or find the time I feel I need. That’s going to be worked out over the next few weeks… I’ll probably try to do an end of season big-week just for the purpose of investigation how I can fit it around my life. Not a lot at all! Ten days of pain now: same side as last year – either the pain is not as bad or I’m just accustomed to it! I’ll try to train again tomorrow either way – I’m going stir crazy from the sedentary lifestyle. It comes with Light head (of course! 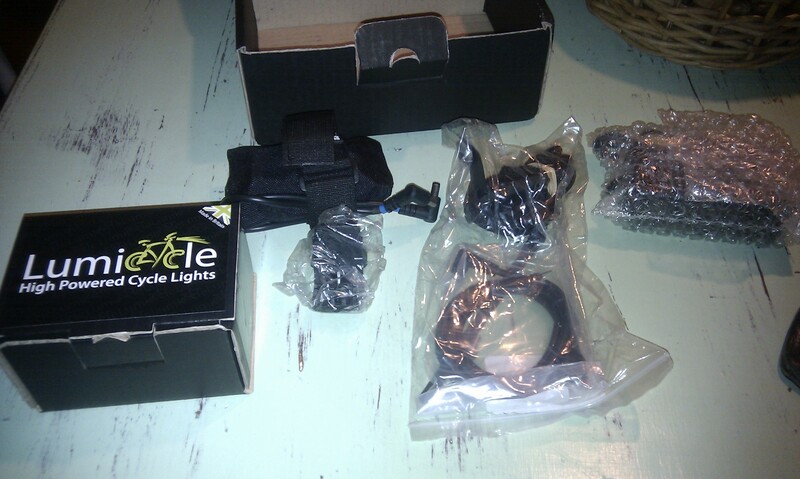 ), Li-Ion Battery and Helmet mount. I will try to adapt the helmet mount so that it can be used for XC Skiing; More on that when I manage it. Official test will be on the way home from work today (in complete darkness in the forest) but initial impressions are fantastic. 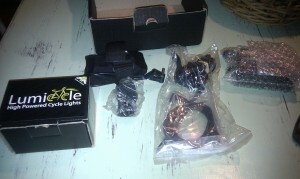 Last year I bought a Hope 1 LED front light and today I compared them side by side. 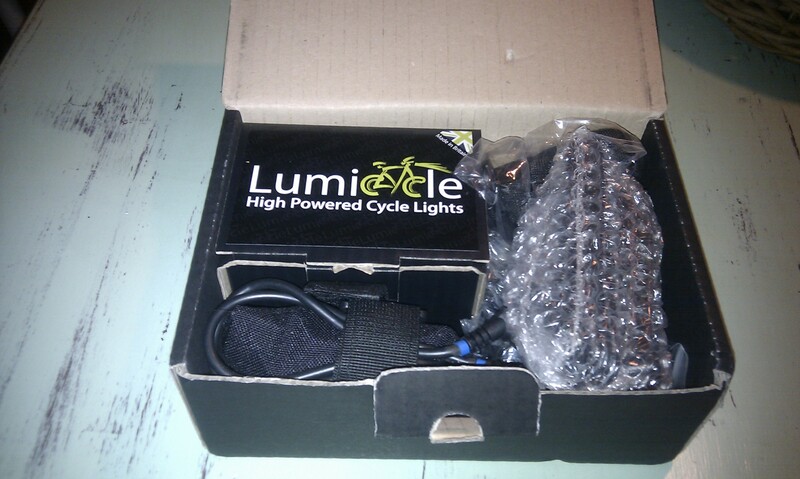 The Hope’s brightest setting was not nearly as bright as the Lumicycle’s lowest setting, despite the fact that Hope rate the 1 LED at 240 lumens @ high power and Lumicycle rate their light @ 150 lumens @ low power! I suspect that Hope measure light intensity at the centre of the beam where a very small area is significantly brighter than the rest of the beam pattern. 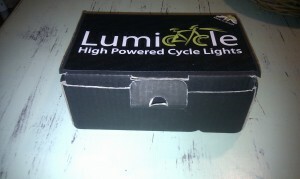 The lumicycle beam may too be brighter in the centre, but it is not significant or indeed noticeable at all. Comparing a £90 light with a £2705light may not seem fair, but in this case, the law of diminishing margin returns has not even begun to kick in yet. 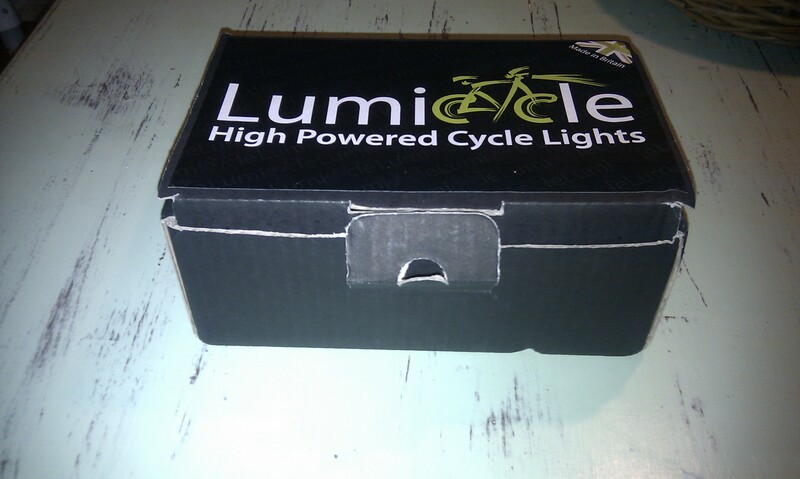 Also, it’s very easy to switch between different settings on the Lumicycle, there even is a smart burn mode where it will stay at 1340 lumens for 3 minutes, then switch down to 950… I’m truely happy so far; can’t say enough good things about it! I’ll try to take some photos of the beam pattern on the way home today.